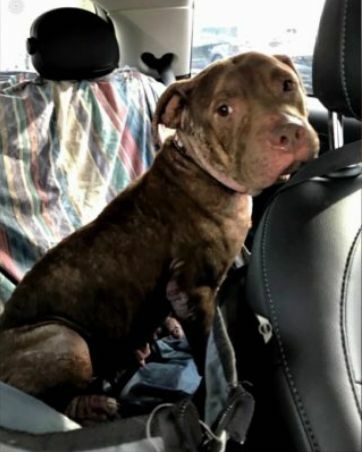 Animal shelter workers see heartbreaking things every day, but even they weren't prepared for what they found on their doorstep at the Oakland Park Animal Rescue in southern Florida. 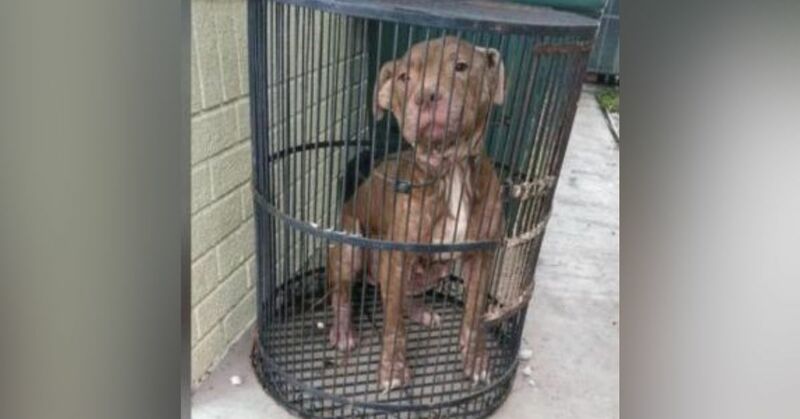 Some unfeeling human had stuffed an emaciated pit bull inside a birdcage then fled. Saving Sage Animal Rescue Foundation undertook the task of saving the skeletal dog. 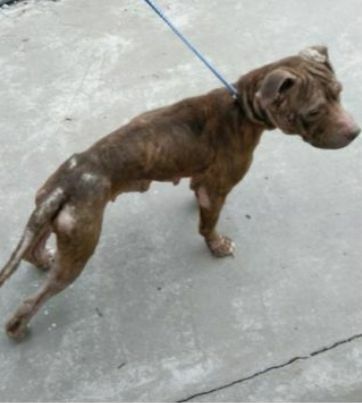 She was skin and bones, had mange and was covered with sores from long mistreatment. They also discovered she had been used as a breeder, probably in a puppy mill. Such dogs are often bred until they are no longer able to produce viable pups, then discarded like trash or killed. Her saviors named her Birdie for obvious reasons and began the long journey of nursing her back to health. With proper medical care she started to gain weight, but the sores on her skin weren't healing. After a thorough workup, a vet discovered that Birdie had allergies, including allergies to water and dust mites. Yes, water. She also had a urinary tract infection, likely the result of overbreeding and poor sanitation. After her condition was stabilized, Birdie was given to a dog trainer for fostering. After a lifetime of neglect and abuse, the playful and loving dog is now finally getting the life every dog deserves.